2016 was an exciting year for the HEAL Cities & Towns Campaign. The campaign added four new members– Cedaredge, Fort Collins, Nederland, and Mountain View –increasing the total membership to 46 municipalities. In June, Commerce City became the first municipality since the Campaign began in 2013 to earn the Campaign’s “Elite” distinction. 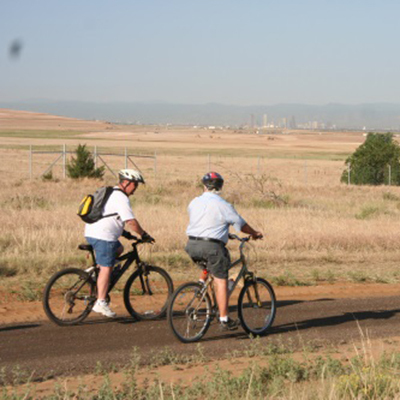 There are four levels of the LiveWell Colorado HEAL Cities & Towns Campaign: Eager, Active, Fit and Elite. In order to qualify for Elite status, a city must have adopted or implemented at least five healthy eating and active living (HEAL) policies. “We’re tremendously proud of the work we’ve done with LiveWell HEAL Cities & Towns Campaign, Community Enterprise [now Cultivando] and the food banks in making it easier to access healthy food,” stated City Manager Brian McBroom when asked about which of the city’s HEAL successes he was most proud of. Many other participants are working hard to get to get to the next level in the Campaign. This year, the Campaign awarded seven mini-grants to participants working on everything from wayfinding signs in Wheat Ridge to extending a trail that runs between Salida and Poncha Springs. The year ended on a high note as LiveWell hosted its annual HEAL Summit in Colorado Springs in November. Attendees were briefed on the complexities surrounding transportation funding, and in particular, the challenges communities face to secure funding for walking, biking and transit infrastructure. Community food access was another hot topic for Summit-goers, and participants also learned how Commerce City and La Junta are using access to healthy living in all their policy decisions. Breakout sessions included discussions on the role municipalities can play for incentive programs like Double Up Food Bucks and other ways local governments can improve access to healthy food including summer meal programs.